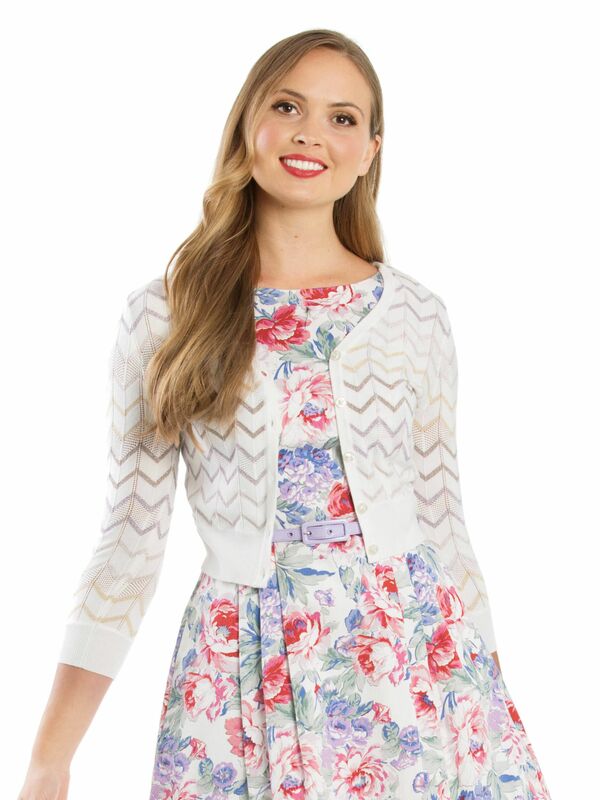 Chantelle Cardi https://www.review-australia.com/asia/chantelle-cardi-cream/RE19KW111.RECRM010.html This Chantelle Cardi will add a touch of glitter to your casual wear, so you won't want to save it just for those relaxed days. Fitted with a button up front, a v-shaped neckline, and pointelle detailing. 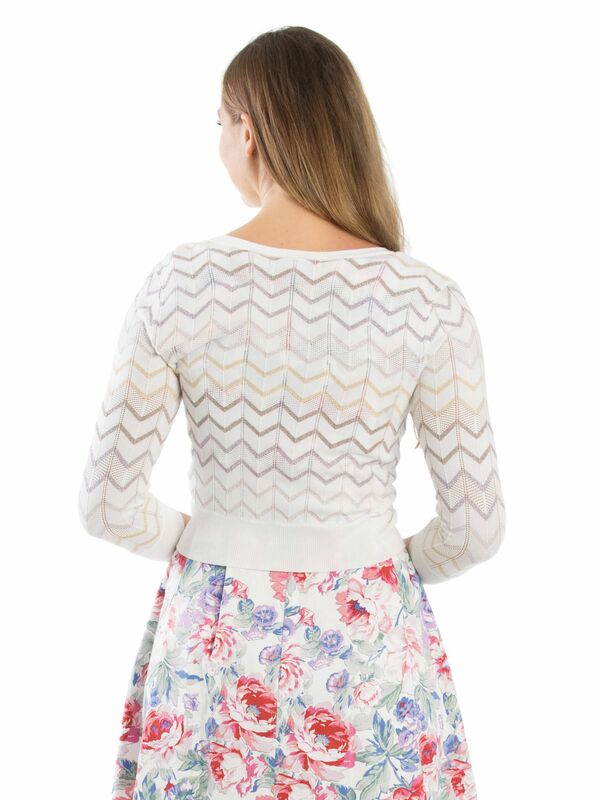 It is decorated with a pastel metallic zig zag print for a fun twist on a classic design.